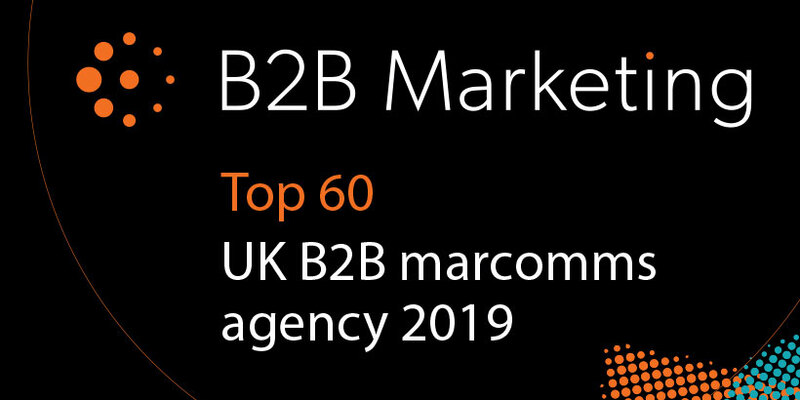 The report is an industry wide survey of opinion and feedback from B2B agency leaders and clients and annually produces the highly anticipated league table. Having quickly scanned the content I have discovered lots of interesting commentaries and articles that resonate and are relevant to Jellybean. One thing that is very heartening is that agencies across the piece are feeling very optimistic about 2019, despite the many challenges and inevitable changes we will have to embrace. I have also learned a new buzz word “Cagency,” which for those who have never encountered it before is a portmanteau for a consultancy and an agency, and they are on the rise so now you know! My main take-outs from the report are that agencies are revising their services and putting more focus on digital and the client agency relationship is increasingly about shared responsibility and collaboration i.e. working as partners. All very reassuring as this reflects our approach at Jellybean. However, agencies who have become very Martech focused across the space are finding it harder to differentiate their offering to clients as they appear to provide comparable solutions. Jellybean would be described as a “B2B Vertical agency” as we operate as a B2B agency but are specialists in the niche trade sectors of foodservice and food and drink retail. This means that we know the issues, dynamics and trends that affect our niche and we truly understand how to build rapport and a relationship with the customer and consumer. There is a rise in the need for specialism, which is great news because Jellybean has apparently been ahead of the curve for over 30 years, operating as what in 2019 would be described as a “B2B vertical cagency”. The 3 biggest challenges facing B2B agencies in 2019 are attracting and retaining good staff, clients wanting more bang for their buck (which is leading many to work with smaller more nimble specialist agencies) and the ability to measure campaign effectiveness. It’s somewhat reassuring to know that the issues facing Jellybean are no different to those being tackled by so many of our competitors both large and small. Our people are our business and we take huge pride in our development of talent at the agency, often home growing individuals through apprenticeship and work experience schemes and offering internal training and external professional qualifications, so that each person can fulfil their potential. Our 6 monthly appraisals enable us to feedback progress against KPIs and to identify and provide specific individual training needs. Staff retention is also a key objective and we endeavour to build a strong team spirit at work and at play through our SOS (Share Our Success) lunches when teams present the work they feel particularly proud of and our regular social activity away from the office. As a small agency operating in a niche market we are more than familiar with working to budgets of all sizes and making them stretch across a comprehensive and cohesive range of tools to achieve our clients’ goals. The measurement of campaign success has always been at the heart of everything we do, however it is particularly hard in our sector where industry data is improving but still a long way from where it needs to be. We are constantly revising how we can report which is why in 2018 we introduced a new measurement tool called The Sweet Spot that measures integrated activity across a broad range of marketing tools against each client’s specific KPIs. The B2B report identified the growing trend for clients to take some marketing activity in-house, believing it to be more cost effective and closer to the coal-face. Thankfully though, most clients still continue to use the services of an agency (particularly specialists) because they recognise the value they bring to the party. An integrated specialist agency offers a broad range of services and skills in one place, an additional and experienced resource that is always there when needed and a team with deep-rooted market knowledge and understanding of the sector and their client’s business. It is also a provider of fresh ideas and approaches to problem solving and often delivers a brave marketing strategy and creative execution that is not constrained by conservative or risk adverse in-house influences. Integrated agencies are seen as an essential resource full of specialists (writers, creators, strategists, activators) who collaborate and understand the bigger picture and importance of content and targeted distribution.